While some areas of the country are enjoying oppressive heat and swampy humidity, it can be hard to imagine how to put your trusty denim to work. But, whether you’re a denim die-hard or only rock a pair of jeans every so often, it’s a universal truth that denim enjoys mainstay status in almost every gal’s wardrobe. 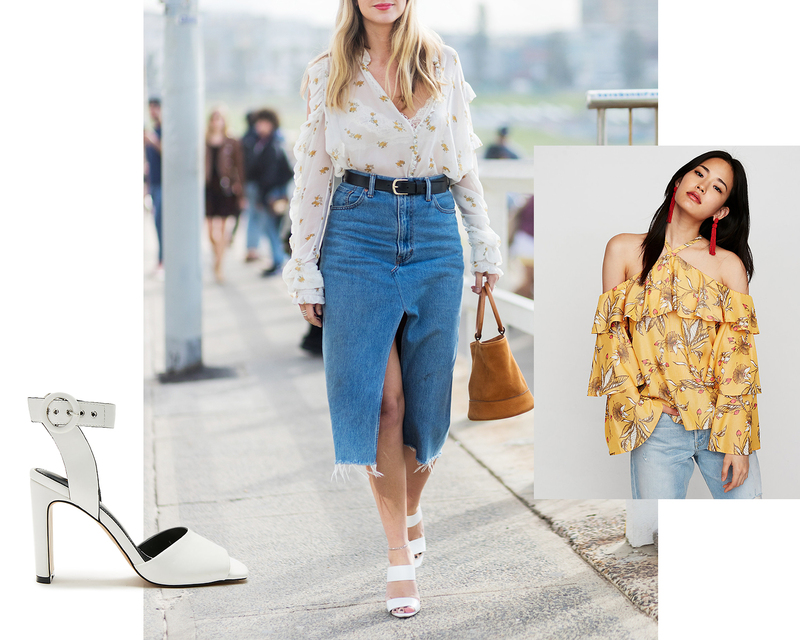 Lucky for you, there are plenty of denim options that befit the heat, and our favorite street-style stars are here to show you how to style them. Think midi and mini skirts, loose-fitting girlfriend jeans and lightweight white, to make your denim pop, it’s all about the styling. Whatever your aesthetic, it only takes a few extra pieces to take your denim look from cool to ultra-stylish. Take inspiration from the style set: they’re the champions of rocking denim on the regular (and with total ease, we might add), from smart and sophisticated looks to those with a bit more edge. 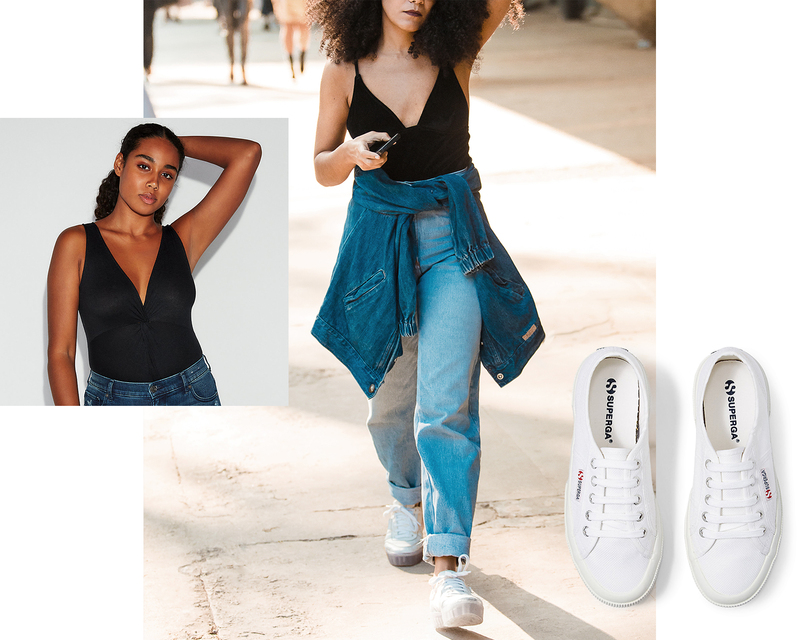 Ahead, we’ve curated five summer-perfect outfits centered around denim, inspired by the achingly street-chic. Ranging from two-tone denim to a killer skirt set and the perfect Parisian-style ensemble, these looks are guaranteed to help you stand out. They may be basics, but why not get noticed in your jeans? The matching set is a major trend for summer and that certainly applies to denim. In the heat, go for coordinating pieces in a super-light wash—we’re for feminine details like a fitted jacket, peplum silhouette or flounced hem—and team with trendy extras like micro-sunnies, a sporty belt bag (worn crossbody is the It-girl way), and sleek slides. We love the idea of mixing washes together. A slouchy jean is the perfect offset to a fitted (and plunging!) bodysuit. For contrast, go for a darker denim jacket and tie around your waist to amplify your shape. After sunset, drape the jacket over your shoulders and you’re good to. The look reads very cool girl. For an ultra-feminine denim moment, give a midi skirt a try and pair with a ruffled blouse for extra whimsy. Optic white heels lend a fresh pop, while a unique bag keeps the look playful. Wear this ‘fit at the office, on a date or for dinner on the weekend. Every girl needs a great pair of white jeans, especially if you’re near the coast or setting sail. For Parisian-chic, try a high-waist flare with a neutral knit in a classic shape. Add in tortoise shell sunglasses, a slim belt and golden accessories for a result that’s at once timeless and fresh. Yes, you probably wore a denim mini skirt in high school, but hurray, the throwback item is back. For easy polish, a white crewneck tee and gray blazer smarten up a fray-hem version. For an unexpected finish, embrace the western trend with a pair of ankle boots and accent with a cherry red bag.